Cragg Braye & Thornton has been serving the Hunter Valley for over 100 years. We have been here for over 100 years and plan to be serving the community for 100 more. Brian is the Principal Solicitor of Cragg Braye & Thornton and has over 30 years’ experience as a legal practitioner. Brian is also a Notary Public and a mortgage broker with Choice Home Loans. Before Cragg Braye & Thornton, Brian began his legal career as a clerk for Reed, Hannigan & Turner before being admitted to the Supreme Court in 1984. Brian primarily practices in the areas of Family Law, Criminal Law and Litigation. Brian acts for a variety of clients including individuals, small and large business owners, trustees and companies. Brian represents clients in family law disputes including divorce, property settlements and matters involving children. He regularly appears in the Federal Court and Family Court for family matters. 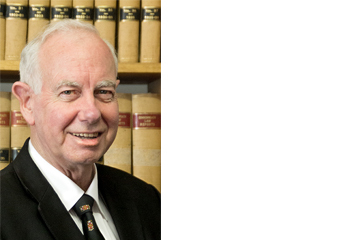 Brian also has vast experience in the civil and criminal Courts and Tribunals. He has experience across all disputes ranging from crime, employment, debt recovery, negligence, insurance, personal injury, disputed estates, tenancy and property. Brian is a registered pilot and has performed numerous missions for AngelFlight over the years. When he isn’t up in the air, this foodie can be spotted at one of the Hunter’s many restaurants and vineyards. As he often reminds the rest of the team, “Life is too short to drink bad wine”. Emily is an associate solicitor with Cragg Braye & Thornton after joining the firm in 2015. Before Cragg Braye & Thornton, Emily has worked in the legal industry for 10 years (she started young!) beginning with her home town of Junee, NSW. 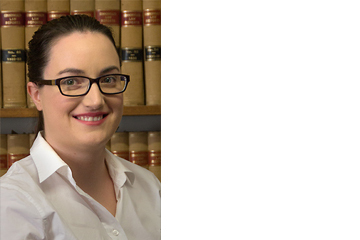 Since then, Emily has completed her degrees in Law and Arts at the University of Wollongong before joining the team at Cragg Braye & Thornton. 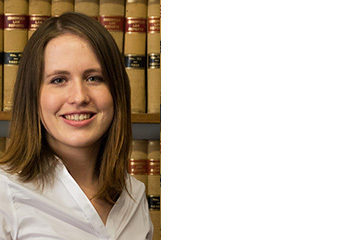 Emily practices in the areas of property law, succession planning and estate administration. Emily provides advice on transfer of residential, commercial and rural property for home buyers, business owners, investors and farmers. She also acts for small business clients in employment law and debt recovery matters. Emily is the coordinator for the Upper Hunter Showgirl competition and is always on the lookout for young women passionate about advocating the issues affecting regional and rural NSW. She enjoys weekends spent with her husband, renovating their historic home. 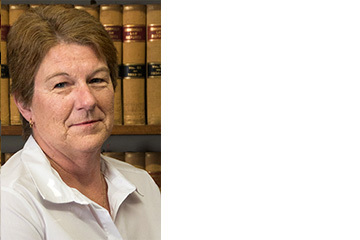 Ellen is Cragg Braye & Thornton’s receptionist and law clerk. Ellen has previously worked in administration at a local accounting firm. She is currently studying Development Studies at the University of Newcastle and has recently returned to Cragg Braye & Thornton after a six-month exchange in Norway. What doesn’t she do? Ellen’s organisational skills are legendary and are often unleashed on Brian’s office when she isn’t busy organising the rest of us. A jack-of-all-trades, Ellen assists in all matters, particularly family law, criminal law and commercial law. Ellen is busy studying to complete her degree, and is also learning French. When she has spare time, she spends it with her beloved dog, Larry, her cat, Cheesecake, and her friends and family. Kerry is Cragg Braye & Thornton’s conveyancing clerk. 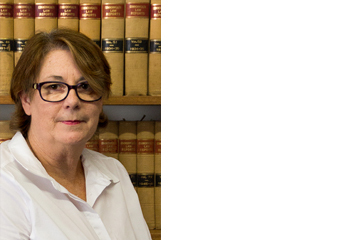 With over 30 years’ experience, she has extensive knowledge of conveyancing practice and procedure. Before Cragg Braye & Thornton, Kerry began her career as a clerk in the Upper Hunter with a local firm in 1987. She has continued working in both conveyancing and the local area since that time. Kerry carries out all transactional work involved in conveyancing matters. Kerry provides regular updates to our clients, agents and their banks while their matter progresses, and makes all arrangements for settlements. Kerry and her husband can be found traversing the globe in their spare time, showing their champion dogs. When she’s at home, Kerry enjoys cooking and spending time with family and friends. Cynthia works part-time as our abacus. Cynthia has acted as an in-house accounts manager for many local businesses. Cynthia is Cragg Braye & Thornton’s accounts manager. She also assists with some commercial law matters, including debt recovery. Cynthia often speeds past us on her way to respond to bushfires as a crew leader of the Darlington Rural Fire Service brigade. Outside of fire season, Cynthia is often travelling with her husband around Australia.